Attach file 2 for back option. 1 MB max upload. (Larger files please email to service@baileyandbailey.com include order number). 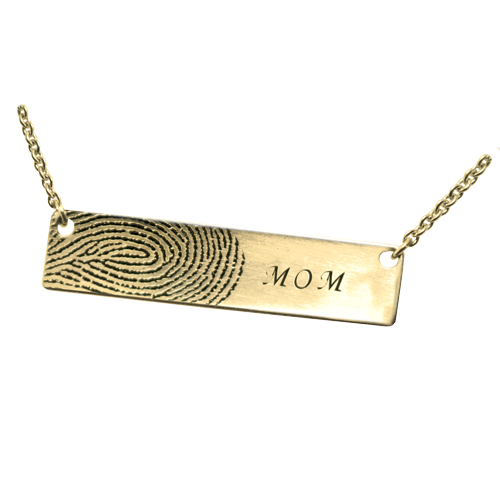 Adorn the face of this classic style bar pendant with an actual fingerprint and name to create a special personalized memento. 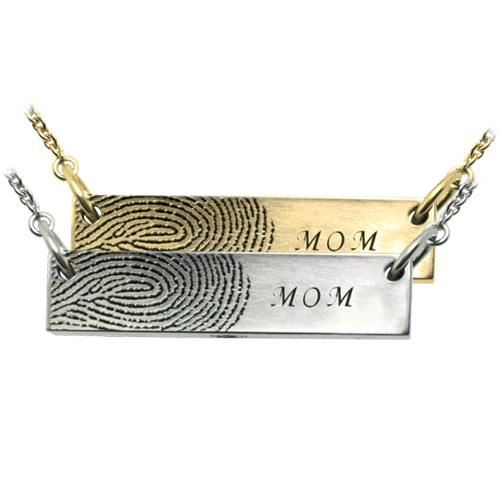 Comes with 16-20 inch adjustable chain.